Jrue Holiday has emerged as one of the NBA's top point guards. He ranks among the league leaders in both points and assists. He's a cornerstone for the New Orleans Hornets as they try to emerge from years of struggles. 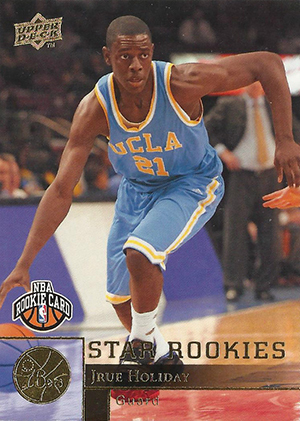 Still relatively overlooked, Jrue Holiday cards should gain more respect in the hobby as more recognize the young star's talents and upside. 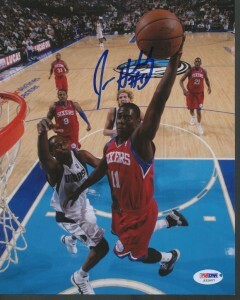 Shop for Jrue Holiday cards on eBay. Holiday jumped to the NBA after just one year at UCLA. The 76ers drafted him 17th overall in 2009. By the end of his rookie season, Holiday cemented himself as Philadelphia's starting point guard. Since then, he has shown continued improvement and shows the makings of a perennial All-Star. Philadelphia sent Holiday to the Hornets in a trade at the 2013 NBA Draft. 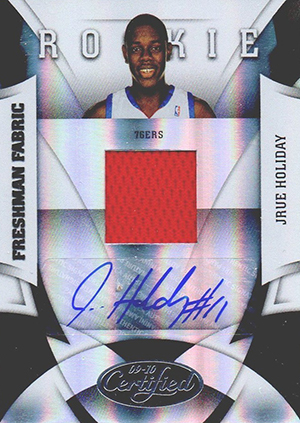 Collectors have more than 20 different Jrue Holiday rookie cards to choose from. Most are either extremely cheap, coming from readily available low-end products, or pricey high-end autographs. 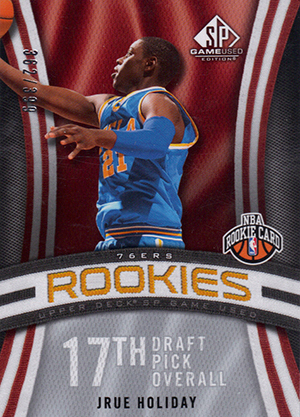 Even then, nearly all first-year Jrue Holiday cards are reasonably priced and have good growth potential. His rookies came out in 2009-10, a major transition year for basketball cards. Panini landed an exclusive deal with the NBA. However, that start until the season began. That meant outgoing licensees Upper Deck and Topps released a handful of sets before their deals ran out. 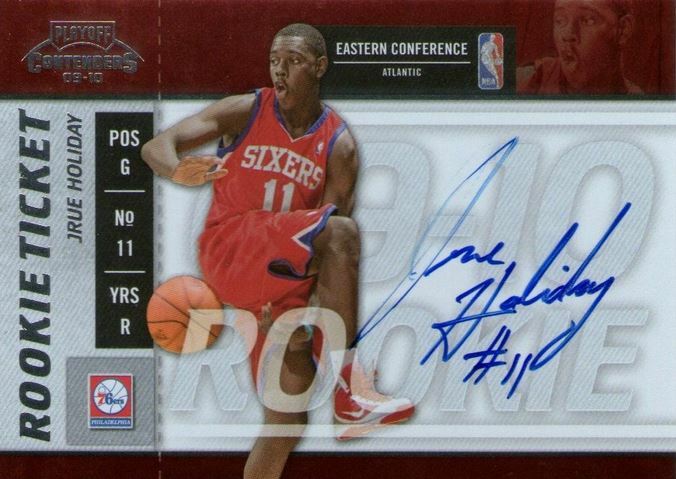 Of the 11 autographed rookie Jrue Holiday cards, 2009-10 Playoff National Treasures is easily the most valuable. Numbered to 99, it also comes with a large patch piece. Others come with larger print runs and are more reasonably priced, even for those with smaller card budgets. Despite his on-court success Holiday still has very little autographed memorabilia on the market, but it is growing compared to recent years. Trading cards remain one of the best options for those looking to collect his signature. Most of the 99 total cards from National Treasures feature dynamic, multi-colored patch swatches. The on-card autograph, sizable player image and rookie card designation, all come together nicely to form an aesthetically pleasing and valuable rookie card. 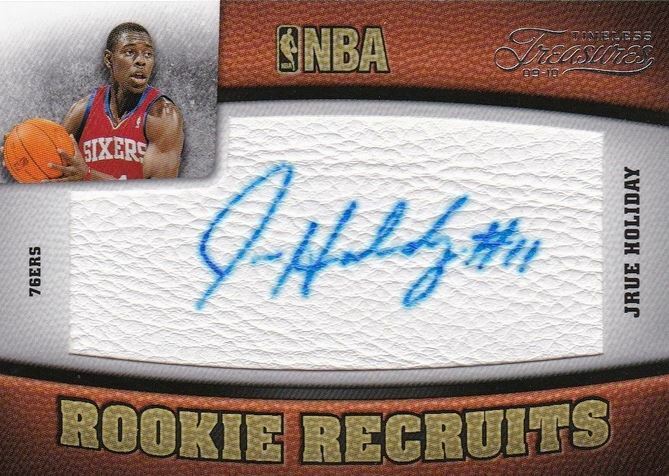 Featuring a superb design, on a horizontal layout, the always popular Rookie Ticket motif in Contenders provides ample space for Jrue to sign. It also captures the point guard making a sweet between-the-legs pass. 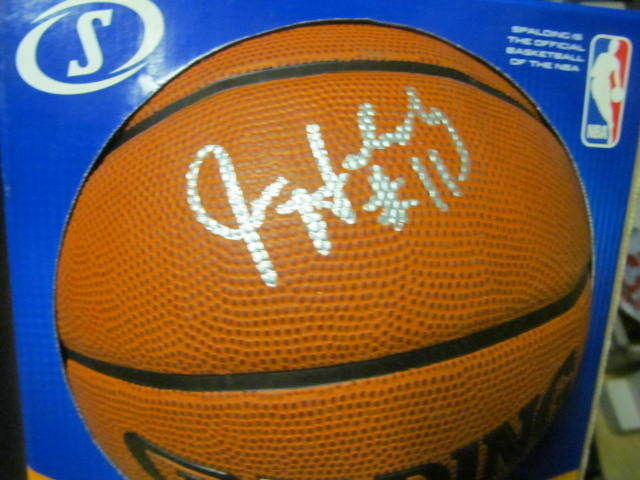 Similar to football, basketball has white-paneled ball material that some collectors prefer for autograph signing. The white panel basketball leather lets the signature really pop. Jrue Holiday 2013-14 FLAWLESS GU PATCH AUTOGRAPHS RUBY AUTO SP 02 15! SICK!! Below you will find an example of what Jrue Holiday's authentic signature looks like. This can be used as a first point of reference for determining the legitimacy of autograph memorabilia, but is not a substitute for having your items authenticated by a well-respected professional autograph authentication company. Reputable authentication companies include JSA, PSA, Panini Authentic, Upper Deck Authentic, Tristar and Mounted Memories to name a few. Click on any of the images below to view full size photos. Signed on a relatively even plane on just a slight upward angle and lean to the right. Very legible, the letter "J" is over-sized, with a backward "D" like loop on the upper portion of the letter"J" and no lower loop. A small line character is implied to be the letters "r-u-e."
The letter "H" is distinct, with two parallel lines and a crossing mark that creates a small triangle, allowing him to not have to lift the pen as he signs the letter "o" in a small, squarish shape. The "l" consists of an up and down stroke, as compared to looping. The letter "i" is implied as the "l" flows right into a leaning "d", the end of which, on the down stroke starts the letter "y." The "y" contains a loop on the bottom. 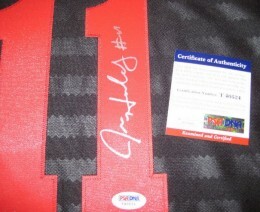 He often inscribes his jersey number as "#11." Jrue Holiday Signed Autographed Nba 8x10 Photofile Photo! JSA!